Dog tags with sentimental value! I have carried my dads wedding ring with me for 19 years now as a good luck charm and I’ve worn it for all major events in my life. As I race ironman triathlon, carrying a chunky wedding ring around my neck was not always comfortable so I decided to have the ring made into something smaller. As the ring is important to me I did not just want to give this to any jewellers in London where I now work and live and decided to ask Jo from Clusters what she recommend. I’ve known Jo since she moved to the North East and trusted her to come up with some way of me able to carry my dads ring with me at all times. What she suggested to do was to keep the metal intact rather than melting it down. Her idea was just simply cutting, shaping and polishing the gold ring into dog tags. She also said this way, the original hallmark of the ring would remain intact on the back of one of the tags. The hallmark tag was kept as the full width of the ring and engraved on the front with the word ‘Believe’. My dad also told me you can do anything you want with your life if you Believe in yourself, and training for Ironman has given that a whole new meaning. The second half of the ring was split into to two narrow tags – one of these has been engraved with IMUK 2013, the first ironman race i took part in and it has my finishers time on the reverse. The third tag is currently blank waiting for my next memorable date to be engraved, whether that be an important qualifying race time or a significant life event. I am over the moon with the dog tags and Jo also supplied me with the best chain for such valuable charms. She recommended a chain made of palladium as this metal is incredibly strong meaning I could have a thin / light chain that was strong enough to take such charms. The overall result is perfect. I am very happy and would certainly recommend Jo’s services to anyone wanting some custom jewellery making. Check out her website for more info. Thank Jo and the team at Clusters. The last couple of weeks I have been thinking about races and goals for next season. As I have already stated in my blog, my primary goal in the next 5 years is try and qualify for the Ironman World Champs in Kona, Hawaii. This is a personal goal to me and I may or may not achieve it, but Ill do my best to make sure I know I did everything I could to achieve this dream, and if it doesn’t come to fruition, it wont be for the lack of trying. It always amazes me that everyone in life has so many different thoughts, dreams, and aspirations but what still surprises me at times is what some will do to try and make false gains and claims in life. I like to think of myself of a humble person that counts my blessings and is very thankful for the things in life others can take for granted. I have always worked hard, and been ambitious but very grounded at the same time and I have never been one to accepts handouts, i paid for my first car, i work hard for my ‘toys’ and believe the old age adage of ‘you don’t get owt for nowt!’. Within the sporting areas of my life I have been classed as a bit of ‘sandbagger’. This is not an intentional thing but just my nature, I will always talk myself down rather than big myself up, ‘selling myself or talking ‘a good race’ is not something I am comfortable with. 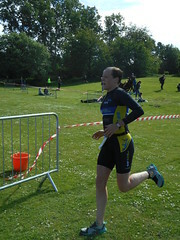 In recent years since starting ‘proper’ training, my friends have all come to realise i don’t do this intentionally but as a newbie, to running and Tri i have tried to gauge my estimated race times by my training times, however as a naturally competitive person this doesn’t work for me and I tend to race a lot harder than I train, hence have some surprising results when I race – I am usually the person most surprised at the results! What I cant understand is the way that other people can make claims of fame and fortune so to speak and ‘sell themselves’ as being something that they very clearly are not. To put oneself forward as being an achiever without evidence does not sit comfortably with me, whilst many it seems do not have such morals. There seems to be the opposite of a ‘sandbagger’, thats is the race ‘bullshitter’. The people that talk about what they are and what they want to be as the same thing. The ‘been there, done that got the T.shirt’ types who celebrate the T.shirt before its even designed let alone earned and worn! Anyhow – all of this aside, I discovered this weekend I apparently have qualified to race for the 2014 ETU European Long Distance championships. I’m not 100% certain with how all this qualification malarky works, but I’ve been told its all to do with how you close you place to the winner in your age-group – and on those grounds, I’ve qualified! So what I have to do now, is put forward my entry and see if i’m picked to race for Team GB. 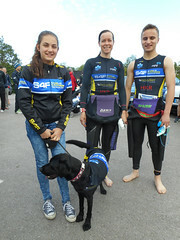 It all seems a bit of a farce really as I did my first Ironman on a 8 week training program following a last minute prize entry through Sport Pursuit who now sponsor me as one of their Brand ambassadors. So then – watch this space. From IM newbie to European champs – whatever next, Kona may not just be a pipe dream after all……. 2 months ago today, I was right in the thick of it on the Ironman UK Bolton course. 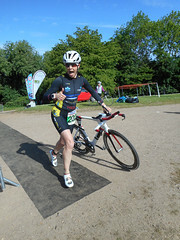 The biggest day of my life so far……In 9 months I will be embarking on my second Ironman – Ironman Austria. After Bolton, I needed a month of rest where I did very little training other than light low intensity stuff during this month I also had the club relays race which was great fun and gave me a PB in the 5km run which was a pleasant and unexpected surprise. Since the relays I’ve had several issues with a shoulder impingement and a repeatedly locking pelvis – these issues seems to have been resolved now, or at least on the way out so the training is back to plan! This time around, my ironman has been planned in advance so I actually have 9 months to train properly instead of 8-9 weeks like I had for Bolton. The first block of this 9 month training plan is the so called ‘patience phase’ and boy, am I going to need patience, let me explain! I will write a separate blog on low heart rate training and the published evidence as it really is quite compelling. Now my coach is very well practiced in these methods and his personal ironman and triathlon results speak for themselves, however, as a scientist, I cant just believe – I need to prove a hypothesis personally to be fully convinced and that is what has changed my mindset this weekend. Yesterday I had a 2hr low rate run to do and as my low rate levels mean I have to run very slowly to maintain them (at times actually having to walk to keep them low enough), this means I cant run with my club for these sessions – lone running gives you plenty time to think and yesterday that is exactly what I did. I woke up in a bad frame of mind yesterday, and really didn’t want to do a slow 2hr run, but I dragged myself to the forest where my club runs are based an hour before the meet time so I could get my 2hr run in and at least join the club in the cafe afterwards. As I set out on the run It became obvious I needed to change my attitude and state of mind very quickly otherwise this was going to be a long run. I started trying to remember all the peer reviewed journals that I’ve read now on the subject of low heart rate training and how compelling all the evidence is. I also remembered that even though I had done very little speed work, I still managed a 5km PB 3 weeks after completing my ironman so something has made me faster, could it have been the long slow training sessions? My coach keeps reminding me what an achievement a sub 13hour ironman was after only a short training program leading up to it and I think human nature and my competitive attitude means I am quick to forget this achievement and focus on how much better I want to be rather than how amazing my actual achievement was. My main goal for the coming years is to qualify for Kona – I’m in no hurry to do this, in fact I would rather it take several years as the stronger I become and the more experienced in racing ironman I get, the higher than chance of then actually do a respectable Kona time will be (by respectable I simply mean not last in any of the three disciplines – its a very strong field to compete against at Kona so I have no dreams above my ability!). Being as I have a few years to mess about with I have decided that this coming year is my experimental year! As with everything in life when you want to reap the rewards of something you have to subscribe to it 100% – this is my plan for the program. I cant skip sessions or say ‘oh it wont hurt if i go faster today’ or ‘a quick hill session wont affect the program’ if i don’t follow the program it wont work so I will have been wasting not only my time, but more importantly my coaches time. As a person I have 100% faith and trust in my coach, but as a researcher I cant get my mind around something until I have proven it myself. The way scientific research works is, you have a hypothesis, you experiment to prove or disprove it, you then challenge those results and further test secondary hypotheses, you then draw your conclusions and publish. My next year is going to be the same – I will experiment by following the protocol 100%, I will then test the hypothesis by racing and practice races, conclusions can be drawn after Ironman Austria. If my times haven’t improved, what have I lost? The way I see it – nothing. I will have gained an extra year of endurance training and valuable race experience, and a personal insight into a totally different way of training. If my times do improve, then this protocol clearly works for me and I will continue onwards and upwards until I can achieve my Kona dream. So then – tme for a long (and slow) bike session in the sunshine! Happy training all……..